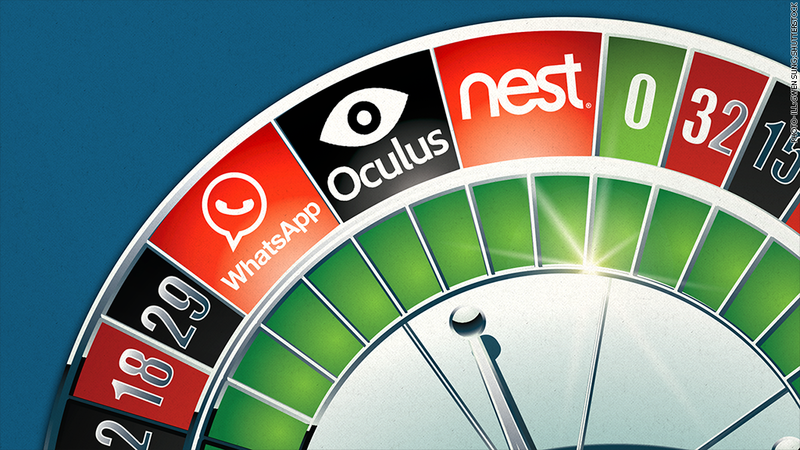 WhatsApp, Oculus and Nest Labs have generated multi-billion-dollar price tags in the past few months. Talk of a tech bubble is getting overblown. Greenlight Capital, run by hedge-fund celebrity David Einhorn, became the latest voice in this chorus last week, telling clients there is "clear consensus that we are witnessing our second tech bubble in 15 years." Einhorn's Greenlight wrote that the current "bubble" mirrors the dot-com boom of the late 1990s and early 2000s, albeit with smaller companies and less enthusiasm from the public, according to Bloomberg. It's easy to see why Greenlight and others are worried. 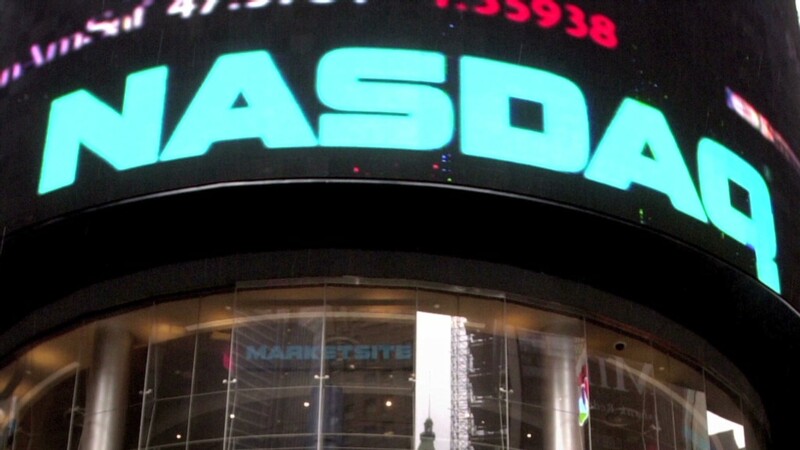 The tech-heavy Nasdaq index is near levels not seen since the 2000 tech bubble, and start-ups that don't even have revenue are fetching billions in acquisitions. But "bubble" isn't the right metaphor for today's tech industry. When it comes to startups, it's more like roulette, and the players have chips to burn. Nasdaq 5000 again? It may happen! There's no doubt that lots of companies attracting tens of millions of dollars in venture capital funding will be worthless in a decade's time, and the same might even be true for some currently sporting multi-billion-dollar valuations (Hello, Foursquare...). But technology is a much bigger part of the economy than it was around the time of the dot-com bust, and investors are betting that the young companies sporting eye-popping price tags can scale their products globally for very little cost. That's the advantage of businesses built on software and not bricks and mortar. As author and computer scientist Jaron Lanier has observed, the now-bankrupt Kodak had more than 140,000 employees at its height. Its digital equivalent, Instagram, had just 13 when Facebook bought it in 2012 for $1 billion -- but it also had 30 million active users, and today boasts more than 200 million. Software-based businesses tend to be winner-take-all, limited not by resources but simply by competition and popularity. That means lots of these companies will fail, but the ones that succeed can dominate their product category, as Instagram does for photo-sharing, Airbnb does for online housing rentals and Uber does for smartphone-based taxi services. Facebook (FB) CEO Mark Zuckerberg alluded to this idea last month in announcing his company's acquisition of virtual reality firm Oculus VR for $2 billion, which followed the blockbuster purchase of mobile messaging service WhatsApp for $19 billion. Both companies, he said, have the obvious home-run potential that Silicon Valley investors are seeking. "The theory for WhatsApp... is that they're on a path to have a billion people using their product in the near future, and there just are not that many services in the world that can reach a billion people," Zuckerberg said. "Similarly, with Oculus, there are not that many companies that are building core technology that can be the next major computing platform." Google (GOOGL), similarly, snapped up smart-appliance maker Nest Labs earlier this year for $3.2 billion. The company fits into Google's vision for the "connected home," a new front in its efforts to collect user data as more devices become Internet-enabled. Publicly traded tech companies are holding significantly more cash now as a percentage of their market capitalization then they were doing the dot-com boom, analysts from Deutsche Bank (DB)said in a research note earlier this month, putting them in better position to take risks on acquisitions. Equity investments by venture capital firms, meanwhile, have hovered between $5 billion and $10 billion per quarter in the past few years, compared with close to $30 billion at the peak of the tech bubble. In the public markets, similarly, investors are generally taking a more restrained approach. Back in 2000, 14% of earnings in the S&P 500 came from tech firms, yet they accounted for 33% of the index's market cap, according to Goldman Sachs (GS); now, tech firms constitute 19% of each. All that means that while tech investing is still a gamble, the odds have improved.